They say every time Microsoft blunders, they skip a Windows number. 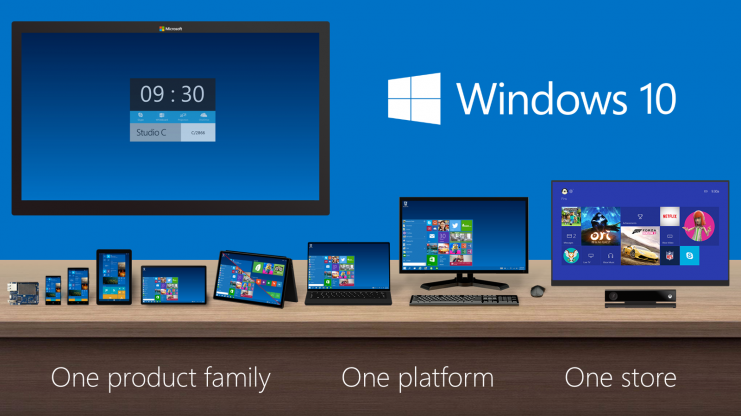 Another even number away, Windows 10 is finally here (July 29). At the risk of leaning towards the countless reviews that have been made about the new OS, I decided to download the preview and find out if this is going to turn out as a hit or a miss. So what’s wow about the new Windows 10? I didn’t like everything of course, but here are 7 things that stood out for me as a Windows faithful. Of course, the Start button is back. A few magical moments exist in a vendor’s life when they create something so definitive that they can’t revoke in sequels, that’s the Start button. Just like Hollywood, the main actor never dies. There are so many other ways of accessing applications including the Charm bar and Windows launch button, but the traditional Start menu appeals to most like myself. The Start menu, however, comes slightly tweaked. Well, naturally. It’s now a combination of the Windows 7 and 8 looks. The one change that did come back supercharged is the quick access Run command text box, now improved as both a Web and Local Search now and Run now tool. I loved the task view button reminiscent of the Vistamizer pimp app for Windows XP. It gives you an iTunes-album-cover-scroll like experience for all open apps directly from the taskbar. Goodbye to hovering over the taskbar until you find what you need and hello multi-tasking. Brace for lengthier installation time with Windows 10. On a core i5, 6 Gig RAM, 2.75 GHz HP, the installation cost me half a day for yesterday’s build. A word of caution: Remember to disable your internet connection first before installing, otherwise the installation will look for updates again before it finishes. A contrasting earlier installation was an hour long with successive updates lasting 45 minutes. Microsoft went all out improving ways to get your mission complete faster in this version including seamless traversing between mobile and PC. Windows 10 is less graphically heavy with a somewhat Lumia approach without necessarily reproducing the Windows Phone blunt palettes. The Windows start button is loaded with a host of right click options that you would normally get in 2 or 3 steps like Disk Management, Device Manager, Computer Management and Network Connections. The Windows Explorer is a bit more intelligent with a Quick Access method that displays your most recent folders and places. Quick searches are made pretty simple from the Launch button. Windows 8 was criticised for its multiple personalities. It looked like Microsoft wasn’t very clear on whether it was designing for mobile or PC and ended up bundling the two together in-artistically. Well, that seems to be reduced giving more control to the user for example by launching Windows Apps minimized on the PC desktop. Instead, Microsoft went all out to balance developments for both mobile and PC with 7 Editions including Home, Professional, Enterprise, Mobile, Mobile Enterprise, IoT (Internet of Things) and Education spoiling the user for choice. The introduction of Windows IoT is particularly interesting. Like we witnessed from the Google I/O recently the fixation with Operating System vendors is no longer just a robust operating system but an all-around interface solution to everything to do with ICT and Web. They want to take over your home, car, work and play. Remember Clippy? Cortana is the new Clippy. Unfortunately, the Personal Digital Assistant is only supported in the US, UK, France, Germany, China and a few other countries. We hope it will be availed soon to the rest of mankind. The program is still under test with Xiaomi of China, but pretty soon you could Window-mise your Galaxy S4. How they would structure incentives will have to be genius as it trails behind a continuously improving Android which is less stringent with root access. The obvious question is of course“Could this be illegal”? Final Verdict: The new Windows is cleaner and more articulate for me and I give it a thumbs up. You can Download it here and preview it. Please give us your take on what works and what doesn’t for you on the new Windows 10. So you want to go on Facebook ? Give me your wallet! Windows 10 and Windows 10 mobile is going to be an interesting affair. I have both running right now and i am amazed at how MSFT used builds in the windows insider program to develop a product for the masses. It won’t be perfect but heck which OS platform is? That said, i am running the build 10162 ( usually download the .iso image instead of downloading from MSFT servers directly with our rather slow connections.) I have build 10149 (with 10158 coming in a few weeks) and there is more mobile customisation on Windows than before. How about a Windows Mobile review then?